Auto Works Collision & Paint, Inc. is a family-owned and operated, state of the art auto body shop located in Coral Springs, Florida. Since 1986, we've earned a solid reputation as the leading authority in our industry. We pride ourselves on only offering the very best service and highest quality of materials and craftsmanship. With a long list of satisfied customers, we're told quite often that we've saved the day for one of our neighbors in need. Please browse our site for more information about our shop and our services, and please feel free to contact us with any questions you may have regarding your auto body repair needs. Whether by appointment or walk-in, we provide free estimates daily. 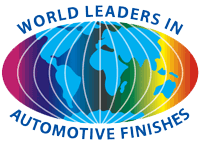 Auto Works Collision & Paint, Inc. is dedicated to the complete and total satisfaction of its customers. Our goal is 100% satisfaction, 100% of the time. Our standards will not be set by our competition, instead our organization will set the standards by which our competitors will be measured. In regards to quality repairs, fast service, and perfect fit and finish, we will be second to none. 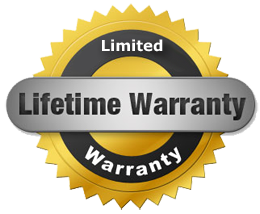 At Auto Works Collision & Paint, Inc., we are so confident in our products, our team and our attention to detail, that we provide a limited Lifetime Warranty on all work performed in our shop.